YES we are racing tonight!!! The wind is suppose to die down by race time. And yes it might be a cool night, but bring an extra blanket and join us for some hot racing action! We are going to do everything in our power to run thru the program as fast as we can to get you back on the road home in a decent time. In action tonight is the I-Smile Silver Late Models, Budweiser IMCA Modifieds, Donnellson Tire & Service IMCA Stock Cars, Roberts Tire Center IMCA SportMods, and Discount Tire & Service Sport Compacts. That Late Models are racing for $700 to win tonight thanks to an unanimous sponsor. 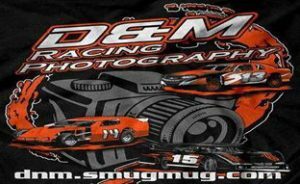 $600 is up for grabs for the Modifieds thanks to David Weeks. Also thanks to David Weeks the Stock Cars are racing for $500 to win. The Sport Mods are racing for $400 to win, plus a brand new tire thanks to Jimmie Sykes. Finally, the Sport Compacts are gunning for $250 to win thanks to Jimmie Sykes. This just in, a lot of the driver’s in this area know how much Brian Neal has done to support those who not only race at the Pepsi Lee County Speedway. But many other tracks in this area. Well tonight he is guaranteeing all Modifieds who start the A Main $90, and all Stock Cars and SportMods are guaranteed $65 to start the A Main. So help spread the word! Gates open at 5:30 PM, Hot Laps at 7 PM, and Racing at 7:30 PM. Grandstands are Adults $10, Seniors (60+) $9, Students (11-17) & Veterans $5, and Kids 10 & Under FREE! Pit passes are $30, Driver’s $20, Ages (7-13) $15, Ages (4-6) $10, Ages (3 & under) $5.